Attend this seswsion to have an overview of the complex and confusing health care and health insurance system in the US. For a deeper understanding of the requirements of F-1 and J-1 status and to ahve your questions answered. 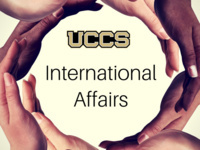 Bring your questions about any UCCS and US topic, and hear about the pathways to success in the US academic system and immigration environment.